For more than 100 years, Lehigh University’s College of Business and Economics has been home to a thriving academic community, one that has launched the careers of students who are both critical thinkers and pioneers in industry. That commitment to scholarship has always been an integral part of our culture and has long been a core component of our curriculum, which is highly collaborative and cross-disciplinary in nature. Lehigh’s MBA program first received accreditation by the Association to Advance Collegiate Schools of Business in 1953. Today, Lehigh offers a flexible, on-campus and online FLEX MBA program and a one-year, full-time 1-MBA program. 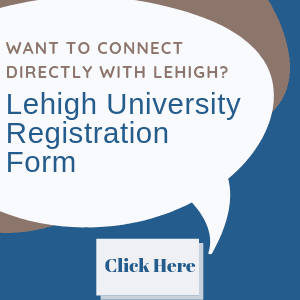 In addition, Lehigh offers a Joint MBA degree in Engineering and Educational Leadership. 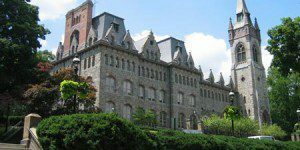 Located one hour from Philadelphia and one hour and 30 minutes from New York City, Lehigh’s campus in Bethlehem, PA offers courses on three campuses: the Asa Packer campus, the Murray H. Goodman campus and the Mountaintop campus. MBA courses primarily meet in the Rauch Business Center on the Asa Packer campus. Some courses also meet on the Mountaintop campus in Iacocca Hall, Ben Franklin TechVentures and Building C., Lehigh’s newest learning space. Rauch Business Center houses ClassroomLIVE distance learning enabled learning environments, computer labs and many of the Lehigh University College of Business and Economics’ business research centers. 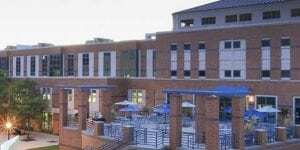 These include the Value Chain Research Center, the Financial Services Laboratory, the Martindale Center for the Study of Private Enterprise, the Murray H. Goodman Center for Real Estate Studies and the Small Business Development Center. Opened in 2010, the CBE’s Dexter F. Baker Institute for Entrepreneurship, Creativity and Innovation is located adjacent to the Rauch Business Center in the Wilbur Annex. MBA students may also access the Small Business Development Center at Lehigh’s nearby Goodman Campus. Graduate students also have the option to live on campus in numerous provided locations. The College of Business and Economics employs 80 faculty members in total, including 15 in Accounting, 20 in Economics, 19 in Finance, 20 in Management and 12 in Marketing. Lehigh University enrolls approximately 330 students in the College of Business and Economics Graduate Programs. Lehigh offers the following MBA programs: the 1-MBA (one-year, full-time program), the FLEX MBA (flexible, on-campus and online hybrid program) and the Joint MBA in either Engineering or Educational Leadership.